The social network has asked agency partners to adhere to a set of standards after fallout from its work with Definers Public Affairs. 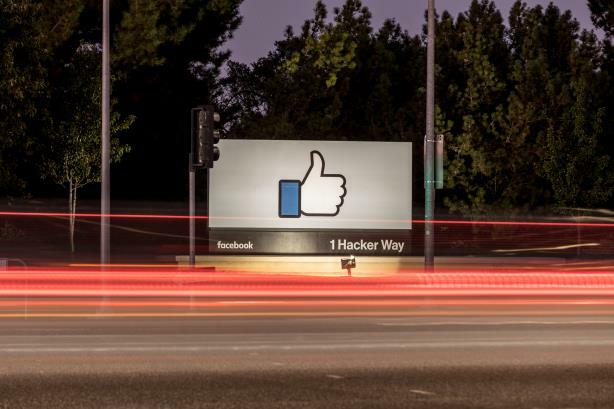 MENLO PARK, CA: Facebook has trimmed its agency roster following public scrutiny of its work with Definers Public Affairs. Since November, Facebook’s review covered "a few hundred agencies and vendors" that work on communications, policy, lobbying, and events, according to Matt Steinfeld, director of policy communications at the company. Facebook did not say how many agencies were eliminated from its global roster, but it left about 100 global PR agencies on it, he said. In most cases, Facebook cut ties with an agency if it felt it could build out its in-house capabilities, or if the company felt better-served by its 200-strong in-house team. Facebook does not have a global PR AOR. The "top-down review" began after The New York Times published a story in November about Facebook’s response to issues such as election interference, data sharing, and other problems, saying it downplayed Russian election meddling on the platform. The Times also revealed that Facebook had hired Definers Public Affairs, a Republican-linked firm based in Washington, DC. Their approach, said to be rooted in the political "dark arts," was largely condemned by PR pros. In October, Facebook said it had hired Nick Clegg, former U.K. deputy prime minister and former leader of the country’s Liberal Democrats, as VP of global affairs and communications. He replaced Elliot Schrage, who continued to work at Facebook as an adviser. In August, Facebook VP of communications for WhatsApp, Instagram, and Messenger Rachel Whetstone joined Netflix. After the publication of the Times’ article about Facebook’s work with Definers, the company said it asked Clegg to "review all our work with communications consultants and propose principles and management processes to guide the team’s work going forward." Shortly after that, Facebook "took a look in the mirror," Steinfeld said. "We’re delivering on a commitment that [senior leadership] made to use the lessons we learned in November to make sure we’ve improved how we manage agencies and the standards we hold those agencies to," Steinfeld said. Facebook’s review not only looked at the type of work its PR agencies did, but also their clients and whether they presented a risk. The company didn’t find anything "untoward or illegal," but Steinfeld declined to say what agencies Facebook severed ties with because he didn’t want to "out any specific agency." Facebook works with the OutCast Agency, Edelman, and Brunswick Group in the U.S., he said. "Over the past several weeks, we’ve looked holistically at Facebook’s relationships with communications consultants and advisers," said Clegg. "This was not only about making sure that our partners’ work reflects our values, it was an opportunity to identify projects that are best handled by our in-house team, which has expanded considerably in the past two years." "As a result, we’re reducing our use of external consultants in 2019, and we’re in the process of implementing new principles for our team going forward," he added. On Wednesday, Facebook sent a memo to its remaining PR agencies, outlining a set of principles by which they should abide. The missive emphasized five standards -- advocacy, integrity, transparency, honesty, and respect -- and reiterated the company’s right to "promote its interests" with the help of outside consultants. Parts of the guidelines were already in place, but Facebook wanted to put it in writing, Steinfeld said. Facebook mandated that its personnel can’t ask consultants to "do or say anything inconsistent with Facebook’s code of conduct, and neither should undertake any such conduct." "Don’t say anything that is intentionally misleading or untrue on Facebook’s behalf — and don’t ask anyone else to either," the memo stated. Under transparency, Facebook emphasized the importance of consultants being upfront with the outside world about their client. "Facebook personnel and advocacy consultants must not obscure that they are working for Facebook when advocating on behalf of Facebook or communicating with media, journalists, or third parties that will be writing opinion editorials or similar publications on behalf of Facebook or at Facebook’s direction," the memo stated. Facebook has been accused of smearing competitors and opponents. In 2011, it hired Burson-Marsteller to encourage USA Today and other publications to write about Google’s privacy practices, according to The Guardian. Facebook was accused of smear tactics again after the Times reported that Definers launched a campaign to discredit activist protesters against Facebook by linking them to George Soros. The financier and political activist has been the subject of anti-semitic attacks. In the memo, Facebook reminds its agencies that "responses to criticism should address the substance of the criticism, not resort to unrelated personal attacks." "Honestly, there’s not a lot of precedence for this," Steinfeld said. "We didn’t find a set of principles in another company we could just carbon copy, so we looked at codes of conduct in PR policy space writ large. We looked at principles in other industries to develop these. There’s nothing sort of earth-shattering there. It’s just to codify how we’ve been working with agencies." However, Facebook is taking a cue from anti-corruption laws in the countries where it operates. In much the same way it enforces anti-corruption practices, the company will provide training to vendors so they can in turn certify they’ve read and understand their principles. "Our intention is to use that same type of model as it relates to these principles," Steinfeld said, adding this will be done yearly. "That will start in the next several weeks as we roll this out."